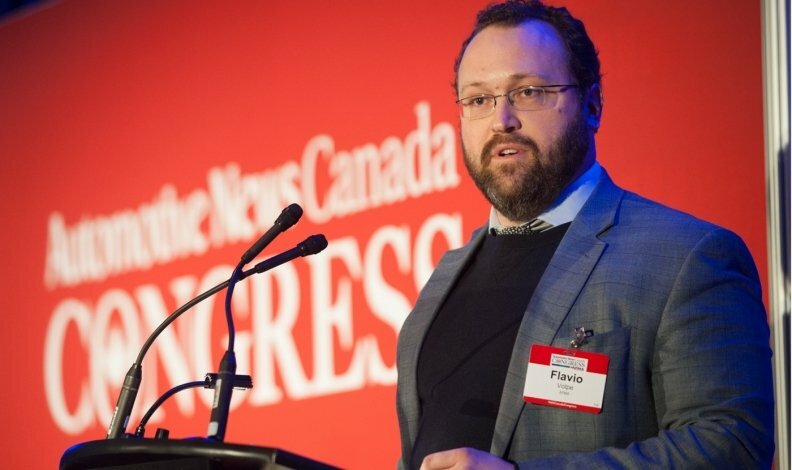 Flavio Volpe, president of the Automotive Parts Manufacturers' Association, says his members take issue with three changes proposed in Labour Minister Kevin Flynn's two-year review of Ontario workplaces. Canadian auto parts manufacturers say proposed changes to Ontario’s labour laws would make them less competitive and cost the province new auto-related investment. Flavio Volpe, president of the Automotive Parts Manufacturers’ Association, says his members take issue with three changes proposed in Labour Minister Kevin Flynn’s two-year review of Ontario workplaces. The nearly 400-page Changing Workplaces Review document includes proposed revisions to the minimum wage, the union certification process and how temporary workers are treated. The document suggests raising the minimum wage to $15 per hour; allowing union certification through the total number of signed cards obtained rather than through a secret-ballot vote, which is currently the case; and giving more job security to temporary workers. He said all three proposals hurt the Canadian industry’s competitiveness. Volpe said his industry already pays more than the minimum wage and that a higher minimum wage “shallows the pool of available workers for us” and might discourage people from accepting an auto job that requires shift work. “They’re trying to solve a problem in Toronto that’s going to affect competitiveness in London, and Windsor and Ingersoll and all the towns in between,” he said. Volpe said an easier union certification process would make Ontario less competitive against right-to-work states in the United States. “It may not lead to increased certification but it certainly leads to a perception by our competitors that it’s a real risk,” Volpe said. “The reality is, we have very good relationships with the workforce in Ontario. He said being forced to hire more full-time employees — or pay more for temporary ones — is a cost some manufacturers can’t absorb and it makes bidding uncompetitive. In an interview with The Globe and Mail, he criticized auto-parts executives for opposing reforms. The province hasn’t said when the document goes before cabinet, although Dias and Volpe both said it was to be presented this week.